To cater the ever-changing requirements of our clients, we, Cocktail, started our operations in the year of 2006. Since our incorporation we are engaged in manufacturing, supplying and wholesaling a quality approved collection of Decorative Gift Items. 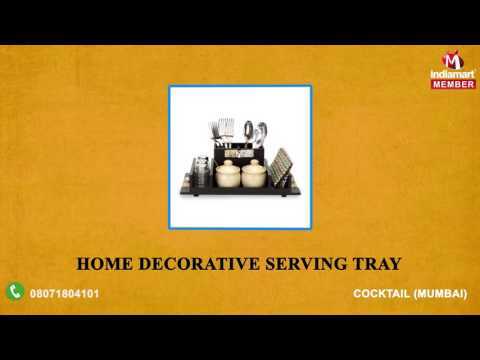 Offered ranges of products consist of Decorative Serving Trays, Fancy Gift Items and Home Decorative Products. Offered products are developed as per the set industry parameter by using supreme quality basic material. These products are highly appreciated across the market for their sturdy designs, fine finish and appealing look. To meet the diverse demands of our valued clients, we are offering these items in various stipulations. Apart from this, we are offering these items at reasonable price range.